Hey there! I hope everyone is enjoying the warmer weather, but where did May go? Hmmm... it sure does fly by faster and faster. 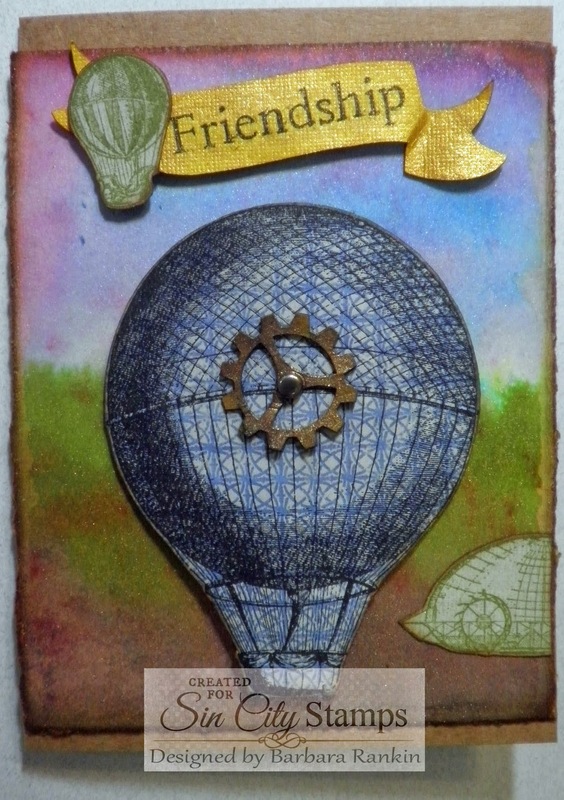 But today I have a fun, steampunkish, tag tutorial I want to share. I am using a new (to me) stamp set that I just got from Sin City Stamps using one of my favorite images, hot air balloons. I have prepared a video tutorial to show you all the fun you can have using all of these products together. So let's get started. Thanks for stopping by, and I hope I have inspired you to try these great products. You see how beautifully they work together, stamps, chipboard, and paints, ooh la la! Have a wonderful, creative weekend! thanks so much for this tutorial - I never really realized how to use the color pigments, even though I have a few LOL. 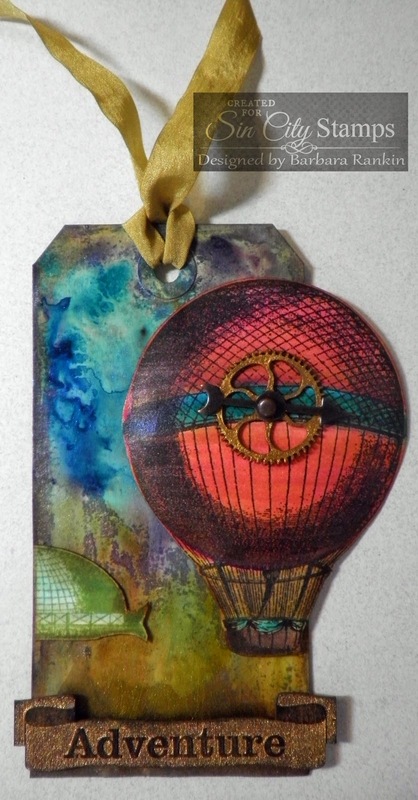 Love your tags - hot air balloons are one of my favorite 'themes.' And - after making 2,347 tags in my life, I didn't realize that putting a medium on the tag would change the way color adhered. A big "D'UH" when off in my brain. LOL Thanks for sharing your expertise and skill! Adventures in video taping, lol I love it! I also love the hot air balloon images too!! Nicely done! A DELIGHTFUL BOUQUET OF BIG BOLD BLOSSOMS!